During the State of the Nation Address (SONA), the president of South Africa, Mr Cyril Ramaphosa announced that the sixth democratic general elections with be held on the 8th May 2019. Eskom would like to caution all political parties against the dangerous practice of placing campaign posters on electrical structures. This includes electricity poles, meter boxes and mini-substations. 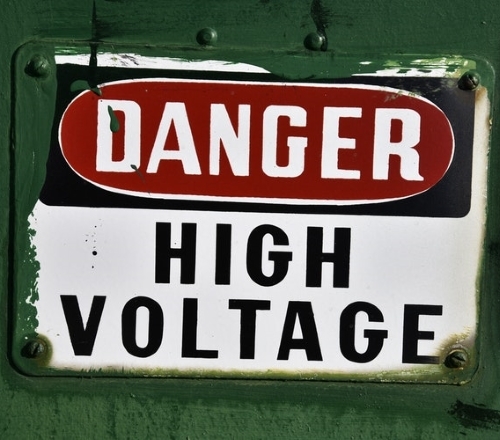 The risk is that when someone gets close to or touches them it may result in a flash-over or electrical contact, which may cause serious injury or loss of life. Only authorised personnel are allowed to climb or work on these structures. Section 15 (3) of the Electrical Machinery Regulations states: "No person shall encroach in person or with an object on the minimum safety clearances prescribed in sub-regulation (1), or require or permit any person to do so except by permission of the supplier or user operating the powerline”. Formed in 2005, the Gloucester Blues Project is a four-piece blues-rock band from KwaZulu-Natal known for a solid repertoire that ranges from background blues, to upbeat classics. Appearing on stages from KZN to the Okavango Delta (and even in the occasional cowshed ask them about it), the band is known for their energetic, lengthy sets. They draw influences from early blues pioneers like Muddy Waters and Robert Johnson, electric guitar gods Stevie Ray Vaughan and Jimi Hendrix, and more rock-based outfits like Led Zeppelin and AC/DC. The Gloucester Blues Project plays regularly in KwaZulu-Natal and has enjoyed performing with the likes of Dan Patlansky, Southern Gypsy Queen and Josie Field. The band has represented the blues at major South African festivals including Splashy Fen, the Durban International Blues Festival, and the Royal Show in Pietermaritzburg. They have occupied stages at a host of smaller music venues across South Africa, as well as three tours to Botswana. The band has also performed in tribute shows dedicated to popular musical icons Credence Clearwater Revival and the Rolling Stones. These shows were very well received, with audiences demanding repeat performances. The Gloucester Blues Project is Mark McTaggart (bass + vocals), John Goodall (rhythm guitar and vocals), Andrew Dickinson (lead guitar), and Ian Dickinson (drums). Dave Starke is singer/songwriter based in Eshowe, Zululand. Born and bred in Cape Town, Dave began performing in the folk scene in the late 90s before pursuing studies in Classics and Drama at UCT. Having moved to KZN in 2007, Dave now works as a full-time musician performing at venues and festivals across the province. In 2017 he composed a blues soundtrack for South African film "The Killing Floor" and in 2018 released his first solo original album entitled "Duende" which he toured down the garden route to Cape Town with fellow musicians Nish Pillay and Lizzie Gaisford. Dave is firmly rooted in the folk idiom with personal storytelling and emotive performances being at the very heart of what he does. In addition to original music, Dave has, for the last two years, toured extensively with his critically acclaimed "Tribute to Leonard Cohen". This will be his first performance at MiTH - something he has been looking forward to for years. Albums will be on sale! Fill_The_Blank has been selected as a semi-finalist (one of ten) in Galleria Mall and East Coast Radio's Be the Band competition. Winners of the competition will perform as the opening act at this year’s Splashy Fen Music Festival’s main stage, and have their single playlist on East Coast Radio for six weeks. 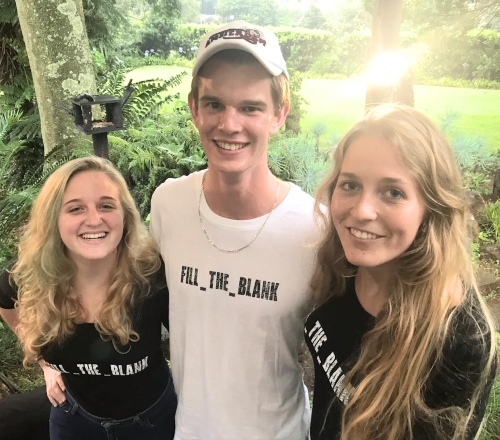 This new band consists of Bianca Santoro, Jonathan Leslie and Rebecca Webster, all with backgrounds in music, came together to share their passion with the KZN Midlands. They cover a variety of genres ranging from folk to flamenco, with pop and rock in between. Enjoy! Bowstring was to have played in this slot, but with the competition play-off on the 23rd of March, Fill_The_Blank will be sharpening up their stage presence on the MiTH stage! Laddsworth pupils Isabella Rabe (Grade 1) and Amy Goddard (Grade 6) took part in the Epworth Mudman on Saturday 3 March 2019 at Albert Falls Dam. Laddsworth pupils Colin Robertson, Marthinus Erasmus and Ryan McKean (Under 13), Matthew Bishop and Reuben MacFarlane (Under 12), have been selected for the Far North Cricket team. They will be taking part in the Midlands Cricket Trials at the Under 12 and Under 13 Central District Cricket (CDC) Festival at St Charles College in Pietermaritzburg on Sunday, 3 March 2019. Pictured L-R; Colin Robertson (Grade 7), Marthinus Erasmus (Grade 7), Ryan McKean (Grade 7), Reuben Macfarlane (Grade 6) and Matthew Bishop (Grade 6). 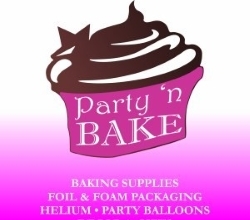 This local business is for sale; Party 'n Bake, at 39 Hilton Avenue, stocks gifts, party and baking essentials. Contact Karen for further details on +27 (0)73 114 8960. 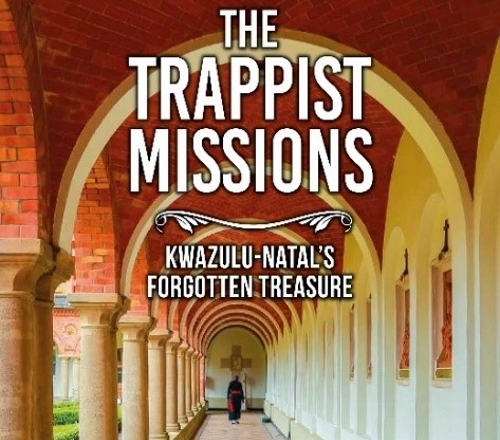 The twenty-two Trappist Missions of KwaZulu-Natal were established by an Austrian born Trappist Monk, Francis Pfanner, between 1880 and 1908, at a time when there was little infrastructure in Natal. Mariannhill Monastery, the mother house monastery, was to become the only Abbey in Africa, serving the outlying missions. The missions were mostly constructed with local materials, or with items manufactured at Mariannhill. This book celebrates the achievement of The Trappists by focusing on a brief history, the beauty of each mission and the mother house, Mariannhill. It is not surprising that many clergy seek the Canonisation of Francis Pfanner, in acknowledgement of his enormous achievements. Hugh Bland and Otterley Press invite you to the book launch. News supplied by Otterley Press. 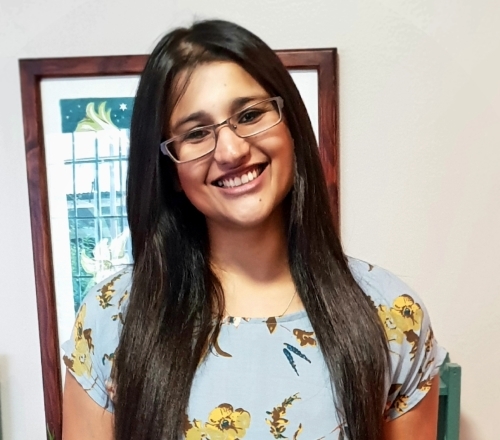 Dr Sunitha Akerman is a Family Practitioner based in Hilton with a special interest in paediatrics, women's health and communicable diseases. She has a passion for medicine and people and promoting community wellbeing. She is a proud wife and mother of two young boys. 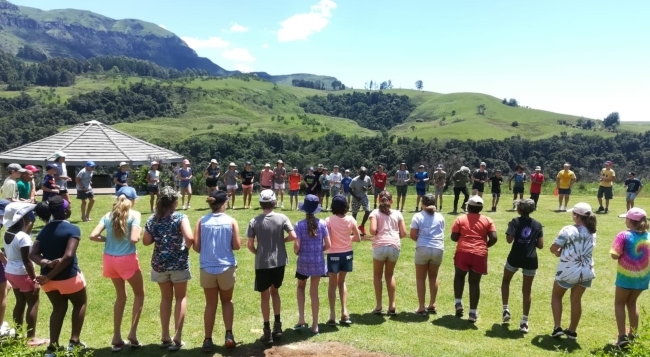 Laddsworth Grade Six pupils went on their Annual Grade Tour to Berg Venture from Wednesday, 20 to Friday, 22 February 2019. 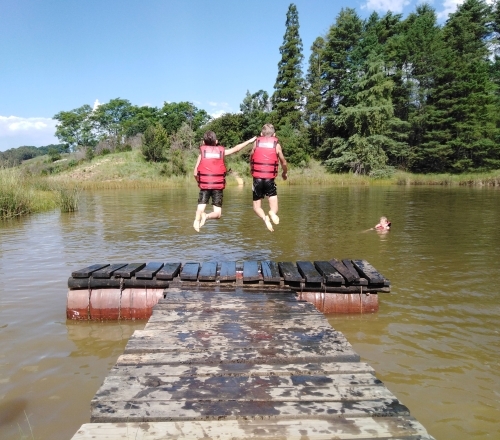 The Grade Sixes took part in various activities including Foefie-Sliding, Tree Climbing, Abseiling, Horse Riding, Hiking, Obstacle Course and a ‘Potjie Kos’ Competition. The pupils learned to push their boundaries and made lasting friendships during their tour. Join for 3 months and pay only R799p/m. This offer is valid from 1st March to 31st March 2019. 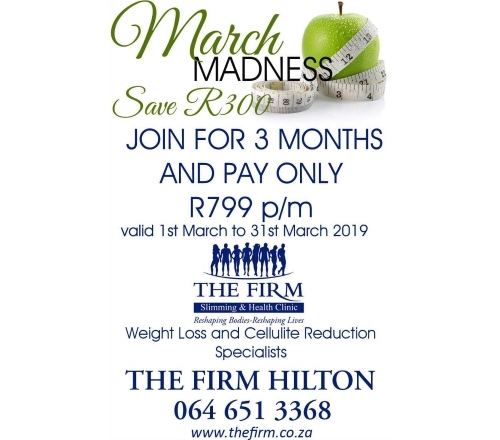 The Firm Hilton are specialists in weight loss and cellulite reduction. Tracy Roberts, proprietor of Bella Donna, and Lauren Culverwell are a ‘Bestie Team’. 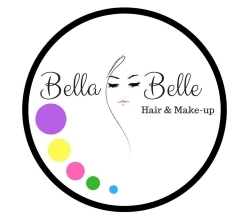 Combining their fun, creative and dynamic strengths they have joined forces to create a new business – Bella and Belle Hair and Make-Up. Their top priority is to make your day one to remember. 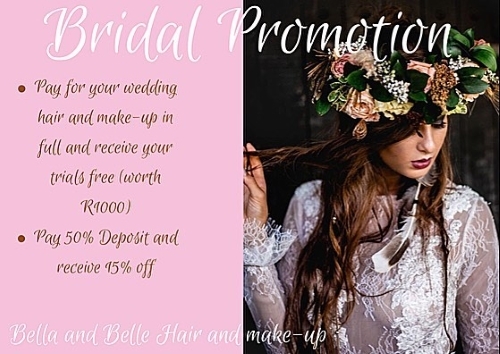 They are running a special for Brides-to-be, from now until the end of April 2019 AND there is a competition on the go too. • Share the date of your wedding in a comment on the original post. Our Winning Bride will receive her Hair and Make-up (including trial) FREE! KINDLY NOTE that the prize does not include bridesmaids or family hair and make-up. Laddsworth Primary School's First XV Rugby team has been sponsored by The Fury Motor Group for the seventh successive year. Mr Morné du Plessis, Sales Manager at Fury Honda Pietermaritzburg, handed over the sponsored rugby kit on Friday 8 March 2019. Laddsworth would like to thank the Fury Motor Group for their continued support. Laddsworth Grade 7 pupil, Cuan Conway took part in the first of 6 Motocross Nationals in Port Elizabeth on the weekend of 2 March 2019. Cuan was the top KwaZulu-Natal motocross rider at the event and was placed 9th overall. Well done Cuan and we wish you all the best for the next National Championship, which will be held in Cape Town. A major challenge in conservation is influencing people’s behaviour – to maintain biodiversity by modifying human actions. As humans we have to start living our lives sustainably, we have to realise that biodiversity is the key to the earth’s survival and thus our own. Vervet monkeys, people either hate them or love them. The truth is, we depend on them and MUST learn to live with them, but Vervets must remain wild. Vervet monkeys are protected by both national and provincial legislation and injuring or killing them is a punishable offence. They are NOT VERMIN. This term refers to alien animal species such as the rat, Rattus norvegicus, feral pig and even the house cat! Indigenous problem animals must be assessed and dealt with by the provincial conservation authority. Vervets play an important role in our ecosystem. They are arboreal creatures dependant on forests for food and shelter. The Vervet troops in an area will be descendants of an ancient group that has survived over eons of time. • Vervets feed on fruit, flowers, pollen, nectar, bark, gum, roots, seeds, grasses, insects (all stages in the life cycle) and birds eggs and act as pollinators as they forage from one plant to the next. • Vervets remove parasites from each other, and other animals and thus prevent disease. • Vervets are major seed dispersal agents ensuring the continued survival of the forests. Forests absorb carbon dioxide, essential for our fight against climate change, and give off oxygen, which we humans need to breathe. Humans have caused the problems we experience with Vervets and for this we must take responsibility. It is strongly advised by conservationists NOT TO FEED Vervets, as this causes them to loose their inherent fear of people – an instinct they need for survival. They then become a nuisance to neighbours damaging property and posing a threat to others who do not understand wild animal behaviour. 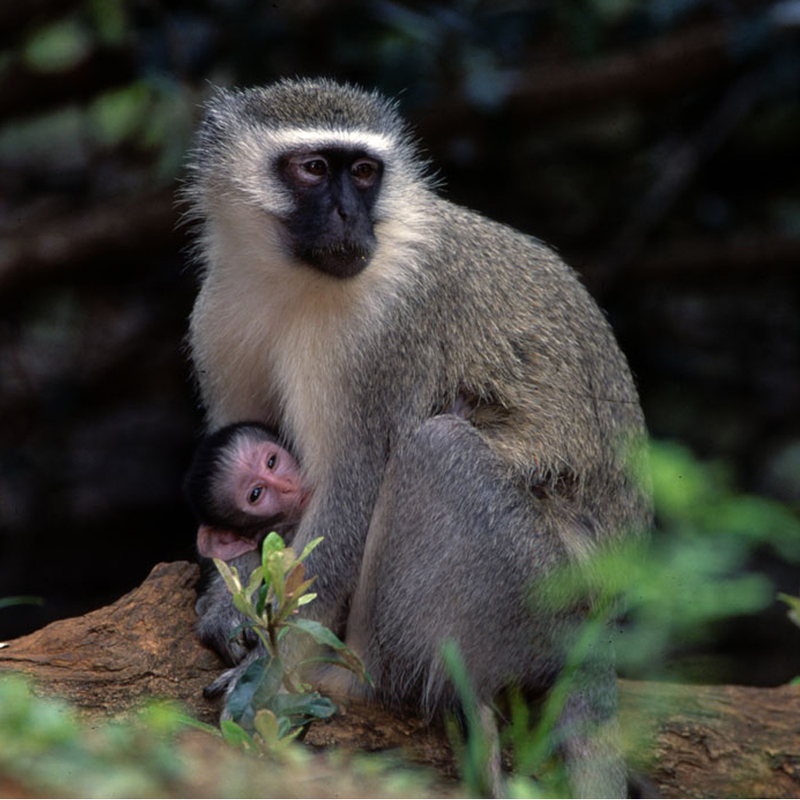 Vervets will protect their babies from any threat and protect their food source, even if it is in your house! Conservationists have found that capturing problem Vervets or troops of Vervet monkeys just relocates the problem to another area. Destruction of the animals is a short term solution, because a new troop will soon move into the area. Wild Vervet monkeys left to themselves are not a problem and the troop sizes are a lot smaller that in suburbia when they are scavenging off our waste or are being fed. • Do teach children Vervet monkey dos and don’ts. • Plant indigenous trees that will provide alternative food sources for Vervets and birds. Above all respect all forms of life, as biodiversity is key to sustainability! Solar as an option; I have been completely off the Grid for just over three years. In that time my Solar system has worked flawlessly. Unlike Generators that need continuous maintenance and ever more expensive fuel. Solar needs just the Sun, and because there are no moving parts the maintenance is minimal. I have learned that more often than not people are sold big, expensive systems, where large numbers of batteries and solar panels are used ( in some case up to 30 batteries). 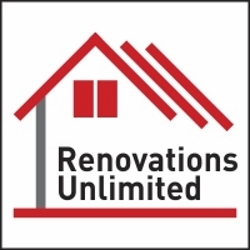 We are lead to believe that these big systems are necessary in order to run a home effectively. For me the thinking here is flawed. One should rather adapt one's lifestyle to Solar than adapt Solar to one’s lifestyle, If you do the former then one can use a smaller system as I have and save. My system uses 12 Solar panels and ONLY 4 batteries, and as I have said it has run beautifully for over three years. One must also remember that a Solar installation is a capital investment, this means the cost will be recovered on the sale of the property. Also, the saving per month on your electricity bill ( in the region of R1500 per month) means it could well be paid off in seven years. With the ever increasing cost of electricity and its unreliability and the huge leap forward in technology, Solar is becoming a more and more viable and affordable solution for one’s home or business. It can, of course, be used in conjunction with Eskom. 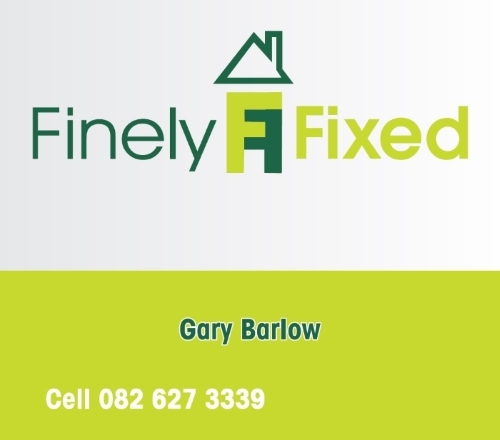 Please phone me for free advice and discussion/solutions for your home and or business. • Entrance fees to the monuments indicated in the program. Welcome at Mohammed V airport. Delivery of your vouchers and the documents of your trip. Brief review of the tour during your transfer to the hotel. Check-in, dinner (restaurant closes at 10h30 PM no dinner served in the room) and accommodation. 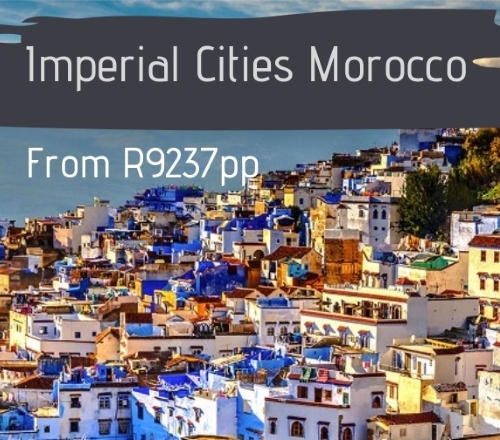 Valid until 22 June 2019. 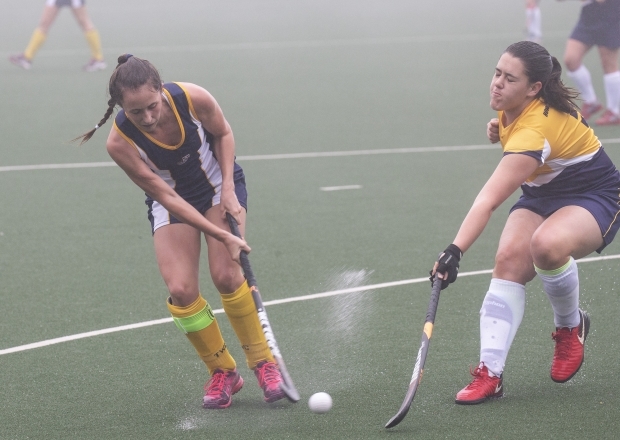 The two defending champs stood firm in gloomy, grey weather at the first two regionals of the ninth year of the SPAR KZN Schoolgirls’ Hockey Challenge. Yesterday, 13 schools took to the wet pitch at St John’s D.S.G., which hosted the Pietermaritzburg Central Regional and at The Wykeham Collegiate which hosted the Pietermaritzburg Northern Regional. The first team to secure their spot in the 2019 Grand Finals, and for the eighth time, continuing their dominance in this area, were the defending champs, St Anne’s College. Taking on the host school, The Wykeham Collegiate in the regional final, the fast-paced game had Saints dominating, ending with 4 well-crafted goals to nil. Treverton College played out of their socks, finishing their round robin on level points with The Wykeham Collegiate. Treverton needed 5 goals in their final game against Howick High to advance to the final on goal difference. However, they only managed to net 2. In this regional final, it took St Anne’s 3 and a half minutes to net their first goal with feisty Lusanda Mtshali opening her teams account with a scramble at the goals. Scoring the second goal for Saints was Kiara McLuckie who was camping at the near post, slotting in a nudge over the keeper’s outstretched stick. Emma Griffin knocked in the third goal after a sneaky glide of a pass from near the post, skid past the keeper and found Griffin’s stick slapping it in. Sealing the win with only 4 seconds remaining, Grace Kitshoff knocked in a determined shot from the center of the circle, running the ball down the middle, through several defenders and through the last line of defence, slotting a simple but handsome goal. Down the hill, defending champs Epworth and hosts St John’s D.S.G. met in the gold silver game for the central title. One times winners, St John’s dominated the 20-minute game with over 17 minutes played in the Epworth half. Epworth managed to break with two appearances in the St John’s D. The second one was the game changer. As time frantically ticked down, Epworth earned themselves a short corner in the final 90 seconds. As game time was up, the ball was accidentally lifted, with umpire re-awarding Epworth with a second short corner. The vice-captain, Summer Rutherford moved in from pushing the ball in, standing firmly near the post. The ball came rocketing towards her from the castle, with Rutherford calmly nudging the ball in a brilliant piece of set play. Umpire of the Day for the northern tournament was Conor Killeen representing The Wykeham Collegiate and Epworth’s Sibusiso Malinga who has officiated at this regional before. The next two tournaments take place this coming weekend with the Durban North Regional happening at Crawford La Lucia and the Durban Central Regional at the 3 Schools Trust Astro hosted by Durban Girls’ High School. For more information on the tournament like the Facebook page or follow on Instagram. Wet wet wet! In very wet conditions, Howick High’s defender Caitlin Vermeulen bravely attempts to block The Wykeham Collegiate Captain and midfielder, Jade Brandis as she fires in a shot during their round-robin game at the Pietermaritzburg Northern Regional of the ninth SPAR KZN Schoolgirls’ Hockey Challenge that took place at TWC yesterday (3 March). St Anne’s won this regional 4-0 against TWC. 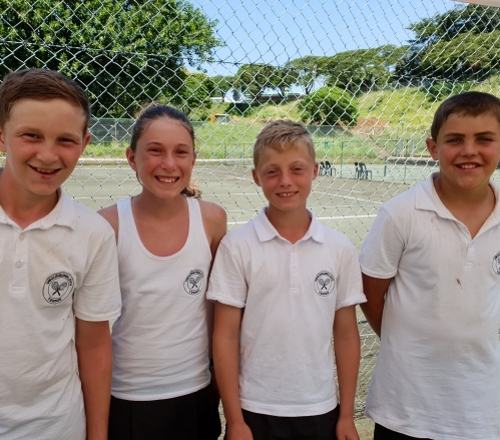 Laddsworth Primary School pupils Caleb Cotton, Reuben Macfarlane, Adam Tilbury and Jodi Moreno were awarded their Midlands (Umgungundlovu) Tennis colours. They represented the Umgungundlovu Tennis Team at the KZN Inter-District Tournament in Durban from Friday, 22 to Sunday, 24 February 2019. Caleb was selected for the Under 13B team and Jodi was selected as a reserve. News suppliedby Laddsworth Primary School.